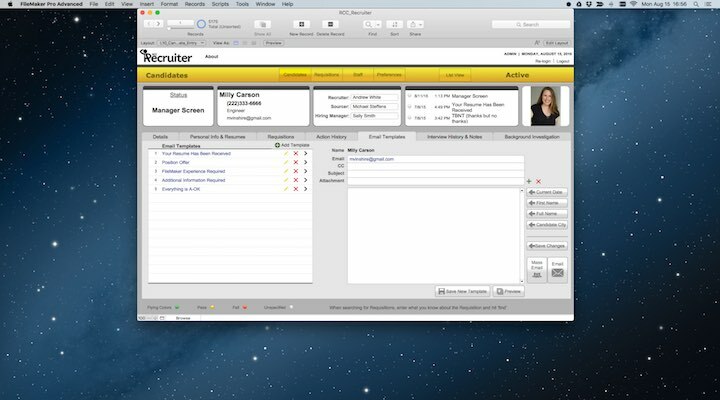 Managing Candidates has never been easier than it is now with RCC Recruiter. 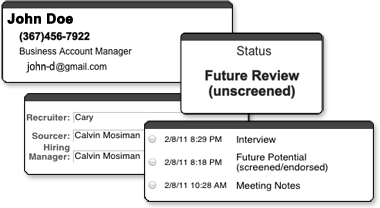 Collect and store info on their education, resume, current employer, and much more. 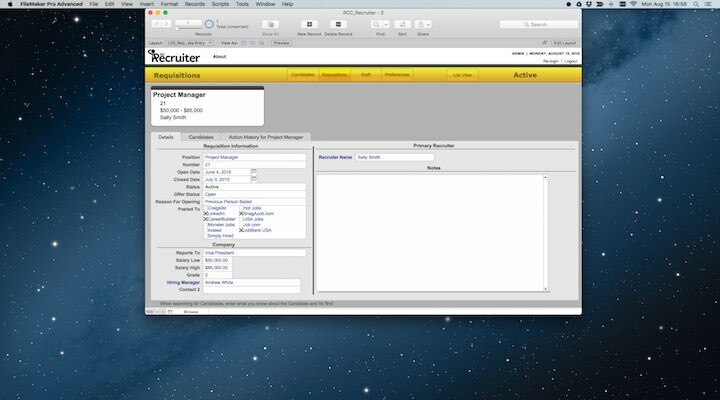 RCC Recruiter also has the ability to email both individual and mass emails directly from the database! 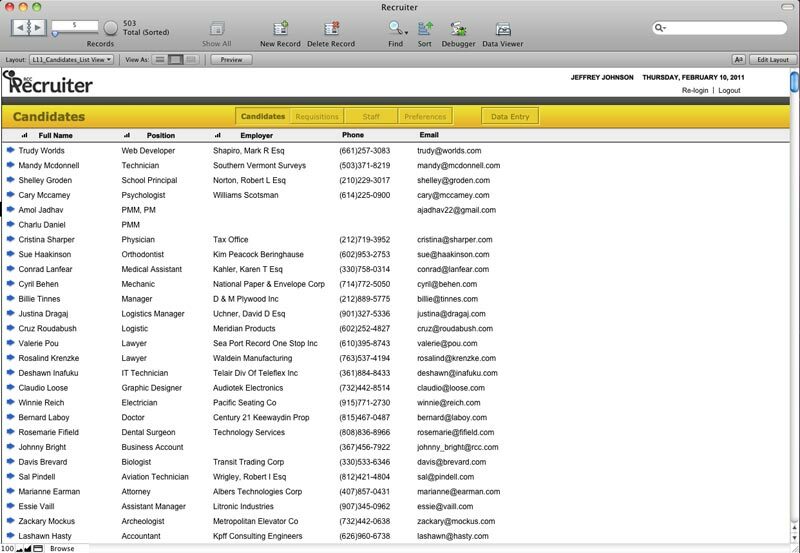 Emailing candidates is simple - you can type out and even save your own custom email templates. 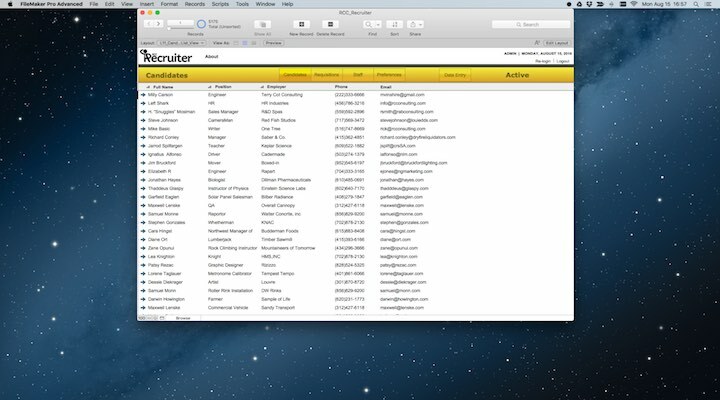 Any email you send is automatically saved in your candidate’s history. 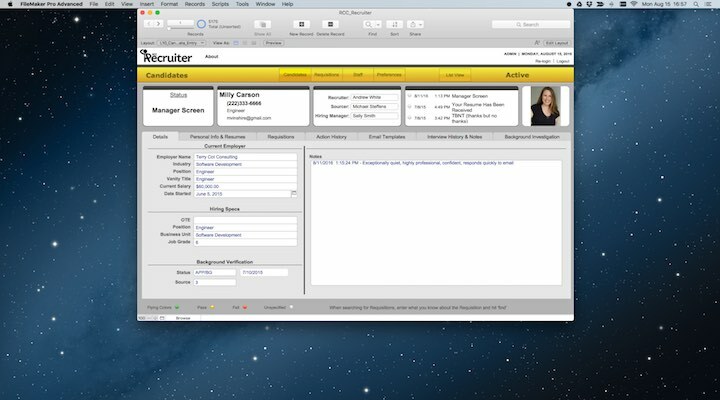 Resume's can be processed through OCR (Optical Character Recognition) so the resume's become searchable! Fields are clearly marked and organized into groups for easy reading. 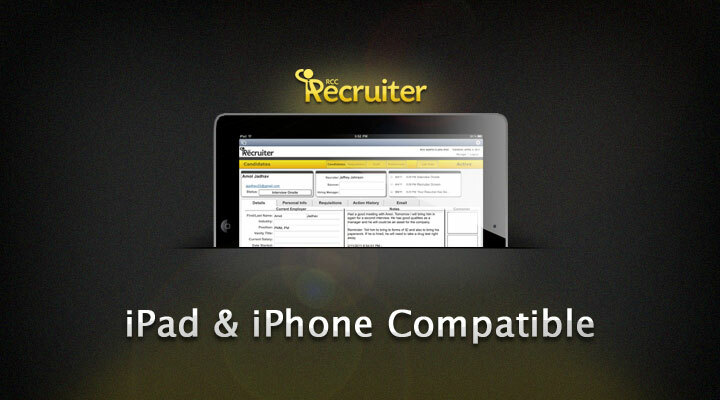 Recruiter is set up to give you that at a glance feel so that you are not searching for what you need. 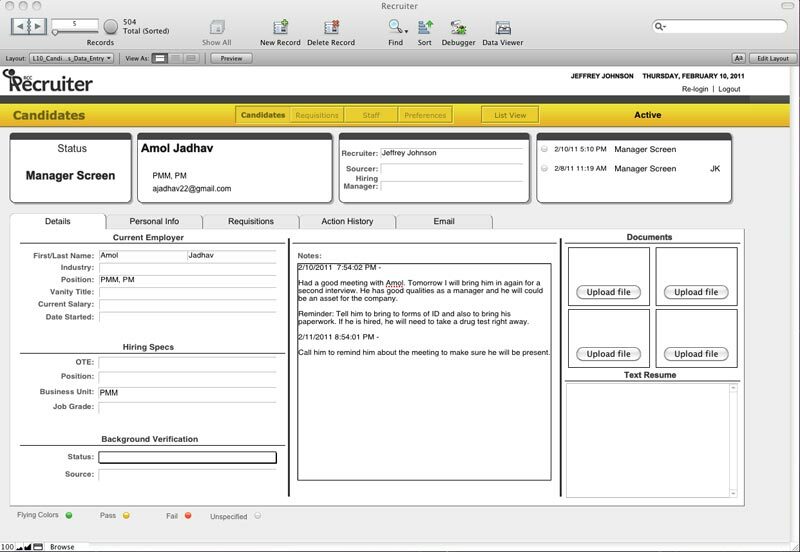 The Requisitions Module not only has detailed information and notes, but it also tracks every candidate compatible for that job. It also tracks each stage the individual candidate goes through as he is being interviewed. A team can work more effectively when there is no overlap in their work. 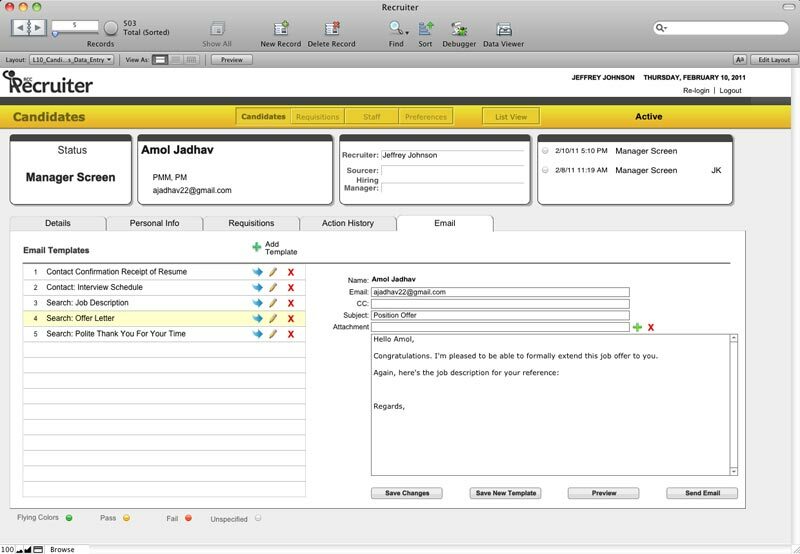 Each staff person can have his own login username and password. 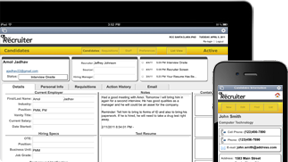 Candidates and Requisitions are assigned to each Staff for the most efficient management possible. 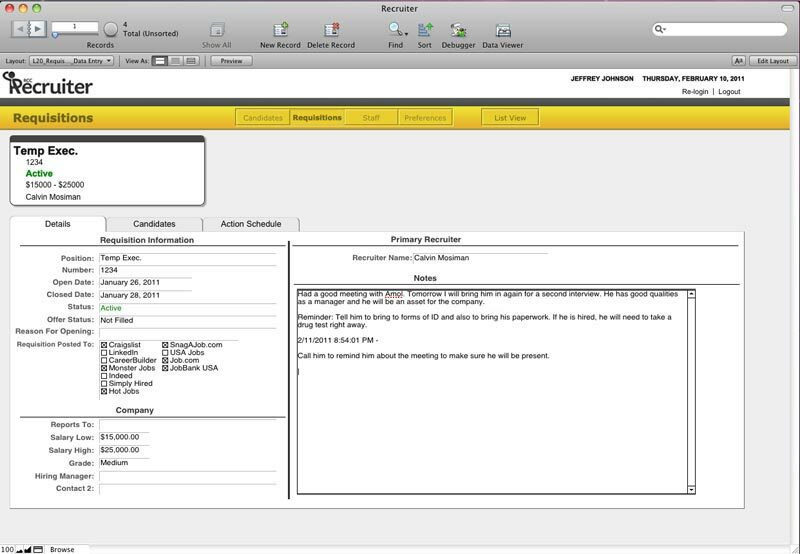 FileMaker is a trademark of FileMaker, Inc., registered in the U.S. and other countries. 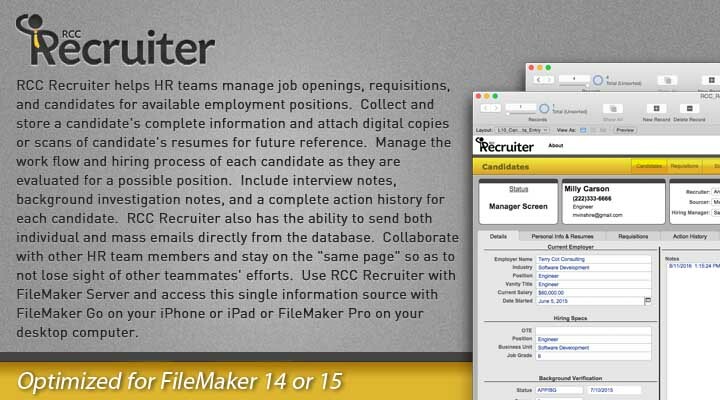 ScriptMaker and the file folder logo are trademarks of FileMaker, Inc. Richard Carlton Consulting, Inc. is an independent entity and this web site has not been authorized, sponsored, or otherwise approved by FileMaker, Inc.